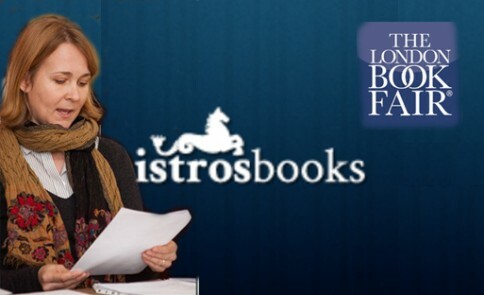 Istros Books, May 1, 2013. Like many other small publishers, translators and authors, I find myself suffering from a touch of post-LondonBookFair Blues. While we were gearing up for the action – preparing PR material, making appointments, co-coordinating events and talks, it was all in the realm of Possibility – an exciting place without borders. But now that the event has been and gone, comes the time of consolidating on ideas, following up on leads and assessing the effort/outcome ratio. Having the privilege of running the first ever Croatian stand at the fair was a great experience for me personally, and also meant a boost in visibility for Istros Books and its Croatian writers. But now that the mists of excitement have started to lift, writers and promoters of ‘small language literatures’ are left with that dull old problem: how to let people know about the books and stories we have to offer in a market where so little in translation gets any attention (and those that do are usually from the same old French/German/Spanish camp). One very useful way for a work of fiction to get noticed – and especially useful for small publishers who lack big marketing budgets – is for it to be nominated for a literary prize. However, just as one might have expected, there are only a handful of prizes in the UK that accept works of translated fiction. So far, I have come across the following, but would be VERY grateful for any more to add to the list! The Oxford-Weidenfeld Prize is for book-length literary translations into English from any living European language. It aims to honour the craft of translation, and to recognise its cultural importance. It is funded by Lord Weidenfeld and by New College, The Queen’s College and St Anne’s College, Oxford. The Marsh Award for Children’s Literature in Translation, awarded biennially since 1996, was founded to celebrate the best translation of a children’s book from a foreign language into English and published in the UK. It aims to spotlight the high quality and diversity of translated fiction for young readers. The Award is administered by the ESU on behalf of the Marsh Christian Trust. Judging by the Wikepedia site for Translation Awards, it seems that the US is much more embracing of its translated literature, although many of the awards listed seemed to be linked to specific languages. So please, help ease my blues and let me know of any over-looked prizes and awards just waiting for nominations for Montenegro/Albania/any other country non-English speaking country in this world….